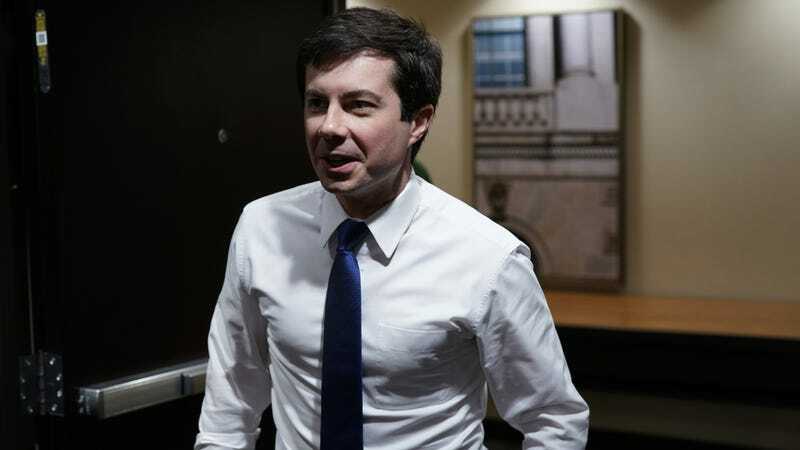 This new banger teaches you how to say "Pete Buttigieg"
Late Show with Stephen Colbert writer Aaron Nemo stepped in to lead the masses with an original song that should clear up any residual confusion. Thankfully, it’s as catchy as it is helpful. It also includes just a bit of a wild ride, but luckily never loses the most important plot here, which is, you know, knowing this guy’s name once and for all. Buttigieg (pronounce BOOT-edge-edge) already made his appearance on the late night show back in February, so you can check out a clip below to decide whether or not there is more to this White House hopeful than an interesting name. The political gets personal as RuPaul&apos;s Drag Race tackles "Trump: The Rusical"